Mark Your Calendars! For a HALF OFF Clothing Sale! Friday, June 2nd and Saturday, June 3rd from 10 to 5! Sale includes half off select colored tags, shoes, and accessories! 444 Main Street in Springfield! Join us at the shop the evening of April 14th for Downtown Springfield's Second Friday Art Walk. This month's featured artist is wood carver, John Culver and our entertainers are the Fiddlin' Big Sue Band. Stop in and meet our featured artist, check out the new merchandise in the shop and have a cookie and a glass of wine. See you then! Thanks to Everyone for the Support of our warehouse sale! ​We can't say enough thank you's to everyone who made our Warehouse Sale such a huge success. Special thanks go out to our amazing volunteers who made it happen and to everyone who came and shopped to support Hearts for Hospice. We Made the Short List! Reader's Choice Awards. Please join us at the Oregon Wine Lab on Tuesday March 14. 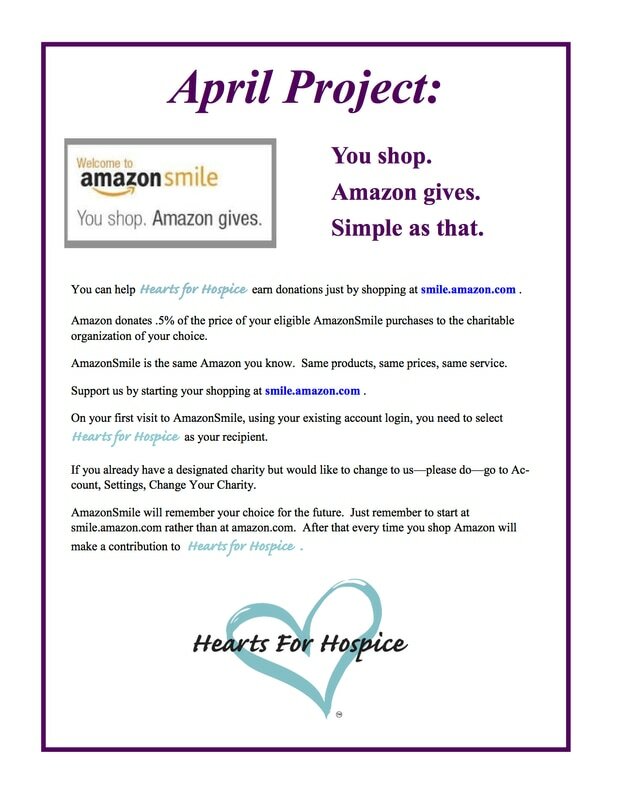 OWL is hosting a fundraiser for Hearts for Hospice. 10% of the entire day's sales will be donated to Hearts for Hospice. Board members will be hosting from 5-8, but you can come by anytime that day between 12 and 8 to support our mission. Oregon Wine Lab is located at 488 Lincoln. Hope to see you. This month's featured artist is Gini Hornbecker and our musicians are The Refreshments. Please plan to stop by the shop Friday evening between 5:00 and 8:00. See you there! It's Time to Nominate Your Favorite Thrift Store and Non-Profit for the Annual Reader's Choice Awards! Hearts For Hospice would love your nominations and your votes for the RG's Readers Choice Awards. Nominations begin Monday Feb. 6 - the top five nominees are voted on beginning March 6. 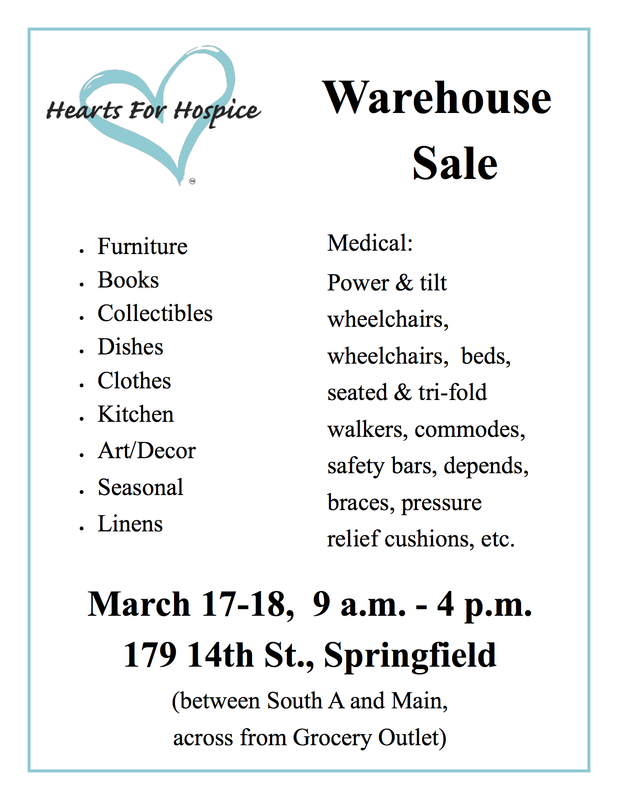 Help us get the word out about what a great little shop we have at 444 Main St. Springfield, and the amazing ways our non-profit supports hospice, grief and end-of life programs in our very own community.